Miru Kim’s Composition 4 via the artist’s website. Read more about Miru Kim (above) in the article I wrote a few months ago. Carefully splashed milk as adornment. Last week my students and I visited Think First, Shoot Later at the MCA. We had a fantastic discussion about Gillian Wearing’s Self-Portrait at Three Years Old (2004). Look at her eyes. Image via Art Radar Asia‘s recent article on Naiza Khan. A video take on the visual transformation that comes with age. Watch a person transform from a child to an older person in a matter of minutes. Fashionable bodies to hang on your wall. 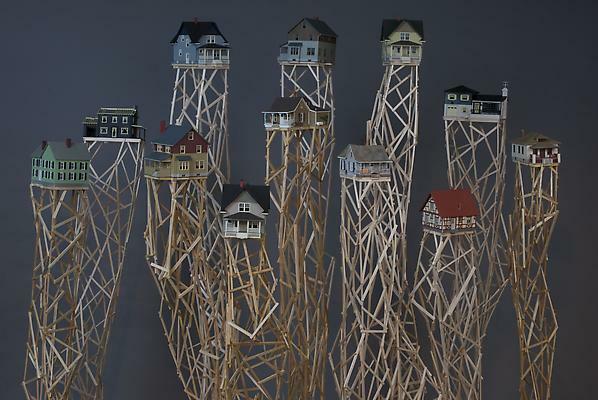 With a bit of a play on words, I’ve been meaning to go see Homebodies at the Museum of Contemporary Art Chicago. The exhibition closes 13 October. There’s always more on bodies to read right here. 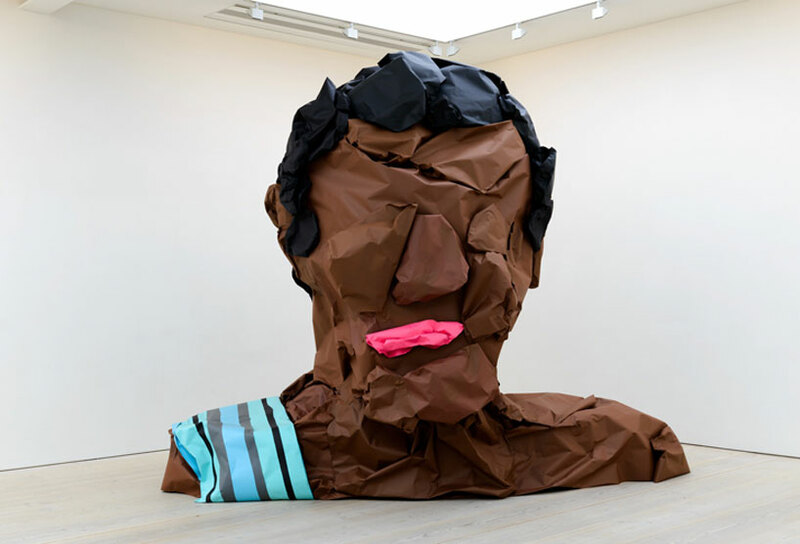 José Lerma and Héctor Madera‘s bright and oversized busts are currently at Saatchi Gallery in London but will move to the MCA in Chicago this December. Also check out some of Madera’s portraits on his website. Kara Walker will be at the AIC in February! To prep for my trip to the museum I read part of Linda Alcoff’s Visible Identities and this quick discussion on Art Info with Christopher K. Ho and Roger White about the idea surrounding Ho’s exhibition “Privileged White People” at Forever & Today, Inc. in NYC. In light of the Oscar nomination list being released: NY Times, “Female Directors Gain Ground, Slowly.” Alison Klayman, the director of Ai Weiwei: Never Sorry, was featured in the piece. I can’t wait to hear what Coming off the Reels has to say about it. On Friday Molly and I ventured to the MCA Chicago. 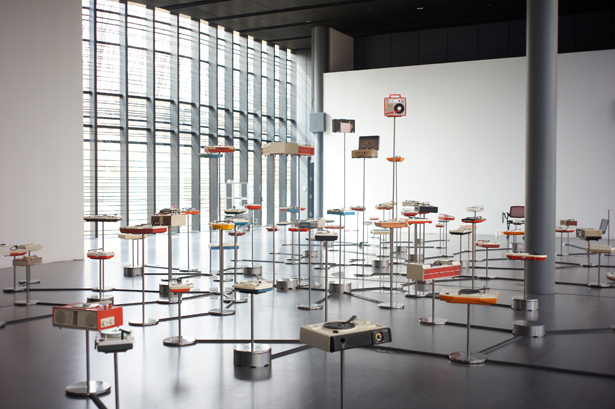 The main exhibition right now is Language of Less (Then and Now). The exhibition was divided in two–artists’ work from the past and artists’ work from today. Below is my favorite work from the exhibition. The very large piece is meant to convey the inevitable decay of art and life. It is hard to tell from this picture but the area inside the black frame is covered in white paint. It is an active work because the white paint is slowly but surely becoming more yellow and worn–the effect of time. The massive sheet of paper shows creases, dirty spots, dripped ink, and a torn corner. For me those marks are what keep Yellow Movie alive in time. The marks of the person that created it, his intimate interaction with the canvas. Click here to hear a quick clip of Conrad speaking about the work. The above piece was part of another exhibition in a gallery upstairs. I just enjoyed it for the surface value of the blatant echoing of a Mark Rothko painting. More on that later. *The MCA listed the artists as IT which is a pseudonym. The National Gallery of Canada owns the piece and they list the artist as N.E. Thing Co..